Are you having problems finding product ideas? Are you investing too much money on product development and not getting anywhere? Are you wasting too much time finding the next big product ideas? If you said yes to any of the above, then this will be one of the most important letters that will reveal to you how you can save money, save time, producing unique and high in demand products! You can make money on the Internet through many avenues but creating your own product that solves a problem, yet helps your customers is a great way to make money online. What may scare you is you don't know where to start or you don't know what type of digital product you should create. Worry no more because all those answers and many more will be answered here alone. This system is so easy to follow that even for newbies. That means if you've never created a product in your life, you'll walk away knowing how to do just that with this video series. There's no secret here. In fact it's all about using existing Private Label Rights Products and making them into your own product. You see with the PLR craze, there are so many digital products coming out on the market which you can make your own or even better, add your own ideas on to of them. 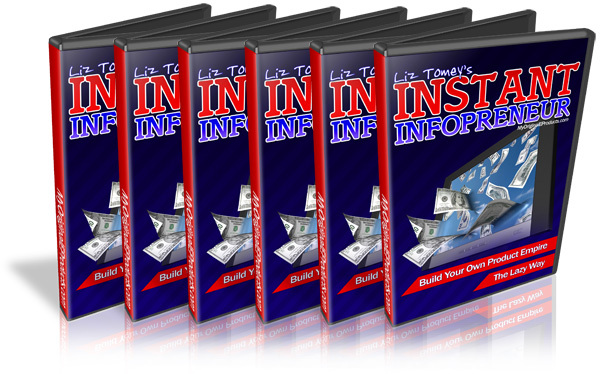 Instant Infoprenuer Video Tutorial MRR infoprenuer;instant infoprenuer;marketing videos;video course 99093731 3.30 digitteam Fresh Download Available!